Got Sake? — If you love sake, you must love the ritual of drinking it correctly..either warmed or delicately iced. For that bit of perfection, you need Roost's Matsuri Sake Set. Freeze the tube that settles in the carafe to keep sake chilled but not diluted. 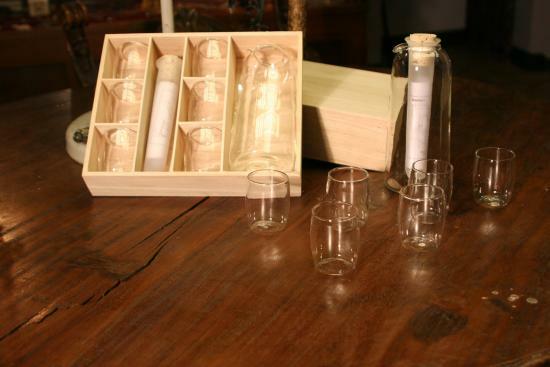 The six dainty glasses are crafted from borsilicate glass and are packaged in a wooded gift box. Do I need to say this? Sake not included.